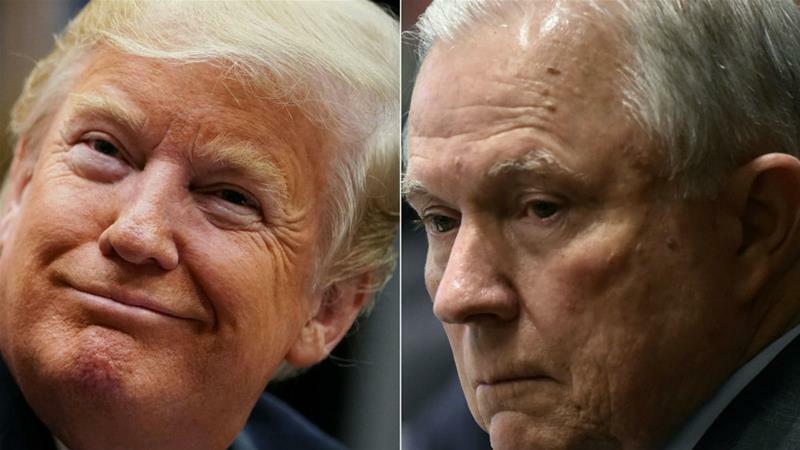 The republican President Donald Trump has been long at odds with his Attorney General Jeff Sessions for Mr. Sessions having dared to recuse himself from anything having to do with the FBI’s Trump-Russia probe being led by the Special Counsel Robert Mueller III because of his heavy participation in the president’s campaign in 2016. 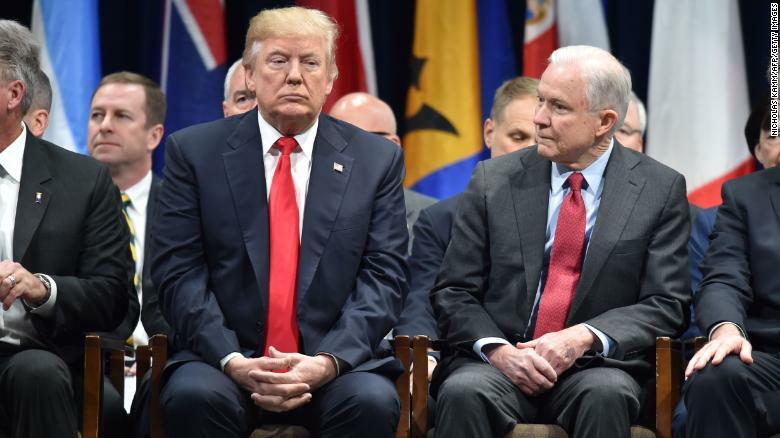 President Trump has continued to suffer under the illusion that his attorney general is there to protect him from criminal liability versus representing an independent judiciary system. Gday mate, previously on a post of yours I described the person J. Sessions as “an evil little prick”. Well, now it seems he is on his own little road to Damascus, and possibly will define a better person than he has ever been by playing a crucial role in helping to maintain dignity and honesty to American Politics and Law. He will need to do much more than this. Hugs mate. Your prior description of the president’s Attorney General Jeff Sessions is very apropos. Here’s the deal. Because of political rules, the firing of his Attorney General Jeff Sessions at this point would allow the president to set up the firing of the guy in charge of the FBI’s Trump-Russia investigation, Special Counsel Mueller. If it were not for this fly in the ointment, I would love to see Mr. Sessions leave the White House scene as I disagree with him on just about everything. President Trump has been targeting his ire against his attorney general for months in an attempt to get rid of him but he has been blocked from acting on this impulse because there are those trying to protect Mr. Mueller from being fired, as well. When one looks at those pictures, one does not feel the love. The president just doesn’t get that the White House is not supposed to be managed like a Mafia operation. He cannot dictate his Attorney General to act like his personal fixer. This is further evidence that the President seems to care more about protection of himself than policy. In terms of policy, Sessions has been great for Trump (though destructive for many marginalized people). But he hasn’t adequately protected his boss, hence he has been getting Trump’s wrath. 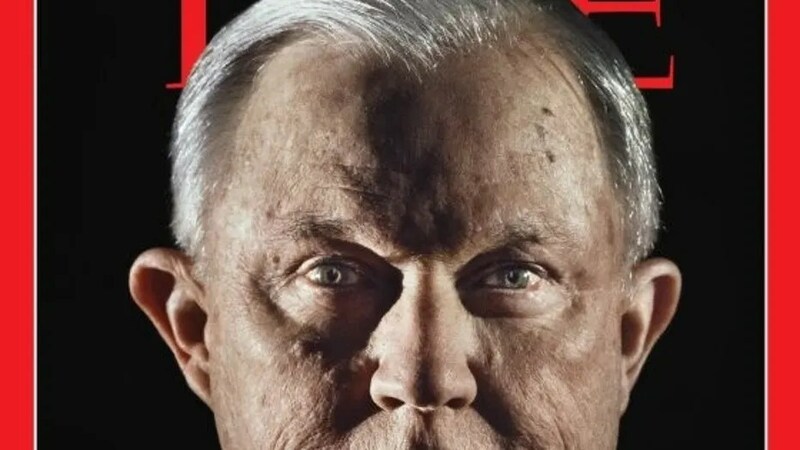 If Democrats were to gain enough seats in the US Congress to where they could block any replacement nomination to be the next US Attorney General, then the AG Sessions couldn’t exit the stage fast enough for me. I despise his policies but for now, I want the FBI’S Trump-Russia probe and its Special Counsel Robert Mueller III, protected. What bothers me is that there are now two senators signaling to the president that he could take this step. I hope that Senator McCain is returning to the US Senate soon, so that he can sit on these fools. Depends on which Dems get elected and how thin the margin is though. There are a few Democratic senators willing to cross party lines and support even some more contentious appointees. Now I don’t like Sessions, but wouldn’t feel comfortable with a razor-thin Dem majority trying to handle a Trump appointment. Gronda, as we have discussed Jeff Sessions is not a gem, but he has done well to try and be above board with the Russia investigation. The dilemma he faces is his boss thinks all of the government resources belong to him and should genuflect to him. What is lost on the boss is these folks swore an oath to the constitution. What remains a great mystery to me is why Trump’s followers do not see what is obvious – the loyalty in the Trump equation is a one way affair. He will turn on anyone who does not acquiesce to his wants. That is one of things Thomas Wells (an attorney who worked for Trump for years) said about Trump – you will not be on his good side for long. 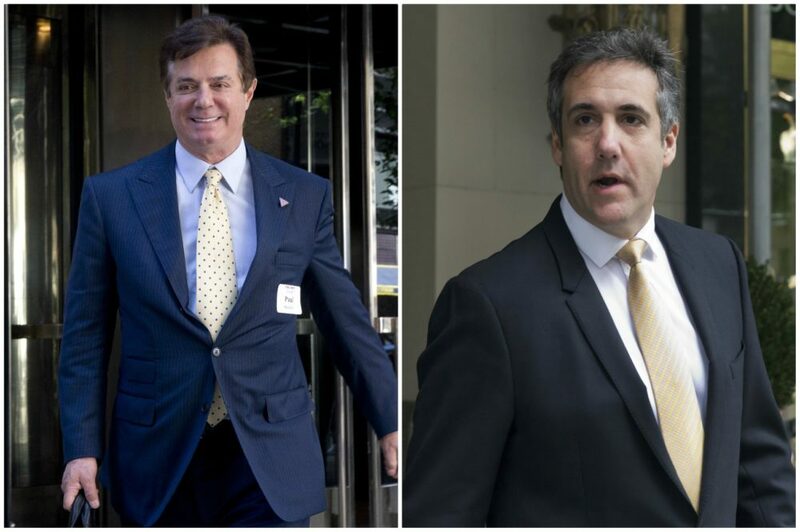 What his followers have yet to face is that the president is running the White House like a criminal enterprise where he demands 100% loyalty from his lieutenants only and they are granted their positions with the number one priority of protecting his backside. People in the real world are normally uncomfortable working under these rules. Jefferson Beauregard Sessions III is a good old boy from Alabama and as racist as they come. He lied and beat around the bush to avoid lying to the Intel Committee. Seems he is taking the high road for once. I hope he continues to stand up to this unhinged president who want a Dept. of Justice whose main responsibility is to protect him from his enemies and fr-enemies. The Alternative to Jeff is not good, hang in there Beau. I consider the Attorney General Jeff Sessions to be a racist, a Xenophobe, wrong on his policies on how to effectively address crime in the USA, and definitely not someone, I would want as the US attorney General. His lying at the Senate confirmation process regarding Russia and his having been a key player in the presidential campaign, made him have to recuse himself from the FBI’s Trump-Russia probe. These are facts that the president or those advising him, should have been able to predict. You are right on the money! I suffer no illusion that the president would select a replacement for Mr. Sessions, anyone who would be better choice. Hugs. How did we get here?